Today, the Cambia Grove hosted a Leadership Focus Event: Social Media for Busy Execs where a panel of healthcare CEO’s discussed what they're doing on social media, and the tactics they use to engage consumers and peers alike. The event was live-streamed on YouTube. Here's the recording. What did these CEO's Share? 1. What value motivated you to start using social media? 2. How are CEO’s using social media? 3. What social media channels are you active on? Here’s some information I gleaned from the healthcare CEO’s speaking at the event. To be sure, I took notes fast and furiously so I apologize in advance if I’ve misquoted or misinterpreted anything. I understand a recording of the event will be available on Cambia Grove’s YouTube Channel at a future date. To warm up the crowd: Jeremy Solly shared some information about use of social media in the healthcare space. Solly shared some information and stats from a report by communications marketing firm Edelman titled Trust and the CEO. Why do CEO’s participate in social media? To build trust. Only 51% of people think the healthcare industry is trustworthy. Even less think healthcare CEO’s are trustworthy. Social media platforms are where consumers are active and as healthcare continues to move to a more consumer-focused business, social media is where CEO's and others need to be. 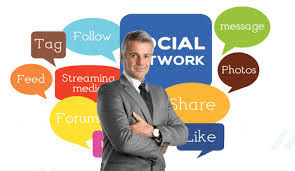 CEO’s build trust by communicating with employees and sharing information to the public via social media channels. LinkedIn is the gateway drug – where many CEO’s start their social medial presence. Most then move on to Twitter (professional) and Facebook (personal). Interesting trend: Only 2% are active on their own YouTube channel but but 41% are frequently highlighted in their company YouTube channel. What are social media channels that you have a presence on? Dave: Twitter (by far). LinkedIn, a tiny bit of YouTube, Snapchat, and Instagram. Use’s Facebook for personal presence. Don: Mostly Twitter. LinkedIn (95% professional) and Facebook (80% personal). What was the first social media channel you joined? Dave: Blogging was my first social media adventure. (Circa 2000: Dave's first post described how a ‘start-up’ effort at Microsoft went from scrappy & agile to bureaucratic.) Dave then got on LinkedIn in 2007, then Facebook and now is most active on Twitter. What value did you see that got you motivated to use Social Media? Jennifer: To have a real-time conversation with a variety of different audiences in a space people are gravitating too. Wanted a mechanism for getting content to people instead of a newsletter. A means to take info to others in a real-time manner. To stay on top of trending news and information. Dave: Social media provides a way to humanize an organization. Keeping in touch with industry. A means to build trust. Social media can break down silos – especially with clinical resources that he didn’t have a strong connection with. Social media is a strong replacement for other media like newsletters and emails. Dave: We probably all under-estimate the time we spend on social media. 2-3 times a day – breakfast, during meals, little random breaks, waiting for a bus, elevator, snippets. Probably about 1-2 hours a day. Jennifer: Build time into your schedule. I do regular check-ins with all of my channels. And utilize randomly available moments with a lot of activity on a plane. Social media activity must be intentional. Usually three times a day: morning, mid-day and night. Don: Varies significantly day to day in a range of 15 to 90 minutes depending on the number of time pockets found available. Also when notifications pop up I will go on and interact. Do you schedule tweets? Use any tools to help with your Social Media? Don: I use systems and processes for each channel. For instance, every business card I get results in a LinkedIn connection request. From there I’ll move certain relationships to other social channels. I also have assistance from the Strategic Communications team at Cambia. Jennifer: Started with Hootsuite but moved away and now does things organically. Tries to coordinate with Social Media person. Tries to be strategic based on the audiences that follow me. Using tools seems to create more work so they're avoided. In the next day or so I'll share the rest of what I was able to capture from today's interview with these healthcare CEO's active on social media. So be sure to follow all of us and engage. See above links for information on the people referenced in this post. And consider also following me for more information and insight into the business of healthcare data, technology and services; particularly in the realm of social media. Catch These 22 Great #HealthIT Resources!